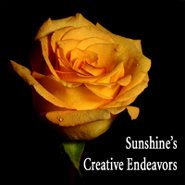 Imaging and creating greeting cards from the blessings Mother Earth gives us, and much more. About Me: I've always loved taking pictures and can remember my earliest endeavors with a Kodak Instamatic camera. My passion for photography continued on and I was given my first 35mm camera... and it was off to the races! I'm not professionally trained - I taught myself after a brief tutorial with a pro many years ago - I was given two pieces of advice - to think about lighting and shutter speed and I went from there... sometimes I'm successful, and other times not. But I keep trying, and now with the advent of digital, I have been able to advance my skills and enjoy the idea that it's far more friendly to the environment - something I very much take to heart... caring for our little planet. I'm a Biologist by education - and I will hug a tree in thanks for what it gives me. I'm happiest when I'm creating something, taking pictures, or out watching nature... of which most of my photography deals with. I love to explore what surrounds me - from the leaves on the trees to the insects in the grass. I love the ocean, the birds in the sky, and a beautiful wildflower. My logo pulls in many ideas - from the camera to capture stills of what I observe, to the birds and sky representing the natural world, and the paint brushes representing my creative side - I love to work with my hands no matter if it's painting, drawing, or working with clay. » A new year has begun and I am striving to provide many new professional level designs. As always, if you don't see something, please feel free to make suggestions. Many new cards are planned or in the designing stages so feel free to check back for new additions. I love your animals. They are adorable and such a variety! Donna, I have really enjoyed looking through your cards. The arrangement of your store is so frsh and unique!! I love your banner! Your cards are great, some beautiful, some funny, all vivid. I especially love the one with the dog and cat sleeping together called Sweetest Day. Aww! I just love your store! What a beautiful banner. I can tell from your cards that you like photography as much as I do. you use your photography in a most creative way when designing your cards. All the best to you and your shop!!! I love your pink roses, so full of light. You cats are really cute too! Welcome to GCU Donna ! Beautiful cards ! Hi Donna, Welcome to GCU! Beautiful rose photograph, can't wait to see more of your lovely photographs.